James Graham has refused to apologise for calling an Australian player a "cheating c***" in a fiery exchange after a high shot on Cameron Smith in the first half. 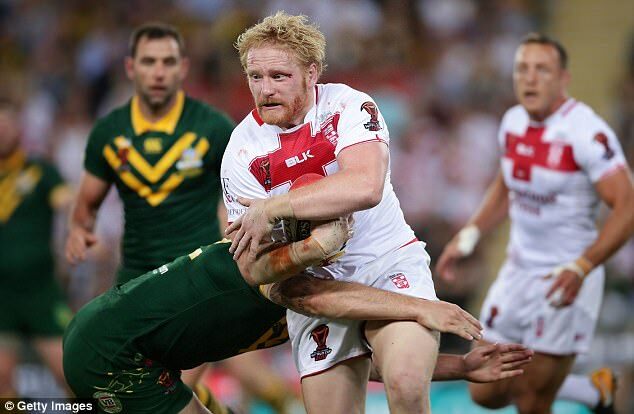 James Graham was interviewed after the game and quizzed over his remarks. In which he said "Loads of stuff gets said out there, if you don't like it turns the refs mic off" he also said "I don't even remember what I said, I shouldn't have to either. Remember that, that's real. I shouldn't have to remember what I said and apologise to anyone. And I won't." Really it's fair enough, everyone that has played the game knows that, things get said on the field and that it stays on the field. A final is an emotional place and passions will run high, it's a fact. At the end of the day Rugby League is a game of respect and when the players shake hands at the end of every game its a way of saying "good game" and "no hard feelings" no player should have to explain himself, except in extreme cases.